Norton 6020 is a PowerMatic® Low Energy Power Operator with Double Lever Arm. STOP (PUSH) SIDE O..
Norton 8501 Series grade 1 surface mounted hold open full cover Multi-Size x Tri-Pak x Backche..
Norton 8501 Series grade 1 surface mounted full cover Multi-Size x Tri-Pak x Backcheck closer with a..
Norton 1601 Series grade 1 surface mounted closer with adjustable spring sizes 3-6. 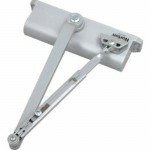 Multi-..
Norton 8301 Series grade 1 surface mounted hold open slim-line Multi-Size x Tri-Pak x Backcheck clos..
Norton 8301 Series grade 1 surface mounted slim-line Multi-Size x Tri-Pak x Backcheck closer with ad..
Norton 7500 Series grade 1 surface mounted multi-size x tri-pak hold open thumbturn door closer. 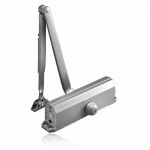 ..
9500H Norton Door Closer Hold-Open Arm Heavy Duty Grade 1 Size 1-6 Norton 9500 Information N..
161BF TPN Norton Door Closer Light Duty Regular Arm Grade 1 Adjustable Spring size 1 thru 4 Nort..
Norton 7500 Series grade 1 surface mounted multi-size x tri-pak hold open arm door closer. 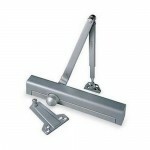 Serie..
9304BC x 9318A Norton Door Closer, Tri-Style® Packaging - Regular Arm w/ Soffit Plate &..
Norton UNI7500H Series grade 1 surface mounted multi-size x tri-pak Unitrol® hold open arm door..
Norton 9300 Series grade 3 surface mounted Tri-Style® Packaging closer with non-adjustable spring si..
Norton 7500 Series grade 1 surface mounted multi-size x tri-pak regular arm door closer. 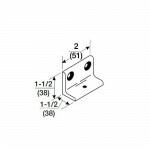 Series ..
UNI-1601 Unitrol® Multi-Size Norton 1601 Series grade 1 surface mounted closer with adjustable sprin.. 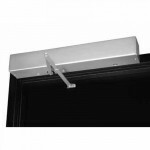 The Norton 1604BCH is a Grade 1 surface mounted hold open door closer with sized spring in ANSI Size.. 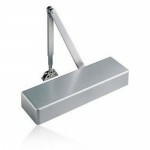 The Norton 7788 is a Drop Plate for 7000 Series Door closers. 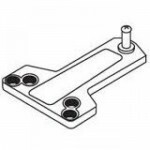 Narrow Top Rail - #7788 Drop Plate.. 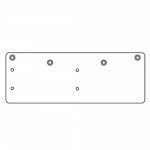 The Norton 8148 is a Drop Plate for 8000 Series Door closers. 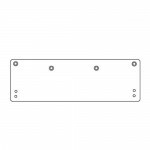 Narrow Top Rail - #8148 Drop Plate.. 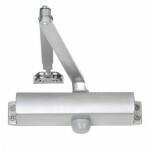 The Norton 6890 is a Support Bracket for use with Norton door closers. Narrow Frame - #6890 Supp.. 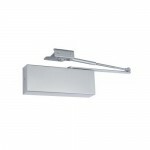 The Norton 1618A is a Soffit Plate for use with Non-Hold Open Arm door closers. Standard Install..